The placement of the paste is uniquely different than normal redstone, however. 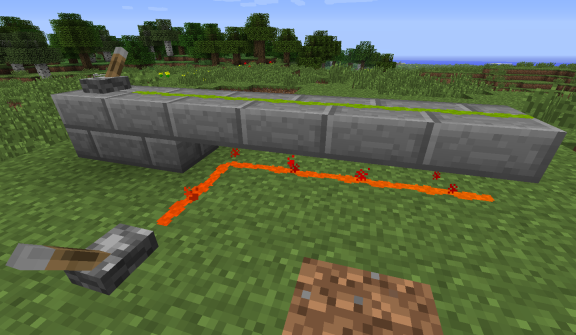 It can be applied to any of the four directions of a block face, allowing you to create compact redstone paths, and only direct current in the directions you desire. Individual segments can be removed by clicking them while highlighted, or you can remove the entire face at once by clicking the center area. Holding the sneak key allows you to place both the segment you've selected as well as the one opposite. If sneaking when placing paste in the center area, it will place paste in all four directions of the face. Paste can interact with dust when you explicitly connect to it. 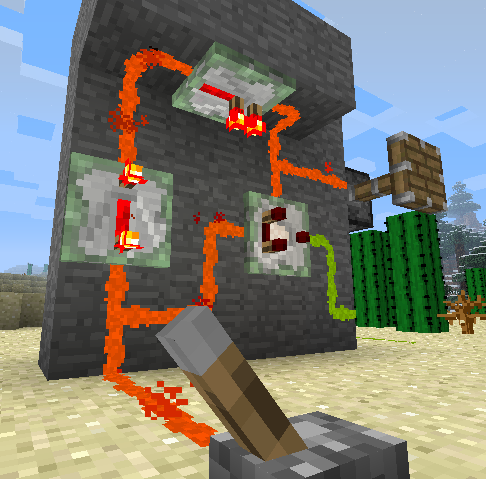 Otherwise it can run side by side without transmitting redstone current between them. You can hide paste, sticky repeaters, and sticky comparators using half-slabs by right-clicking them while holding one. A ghost image of the slab will appear when it's possible to cover it. You can even place them vertically! To remove it, simply break with your hand or any tool. Note that only one Redstone Paste object (paste, sticky repeater, sticky comparator) is allowed within a block space in order to be covered with a slab. 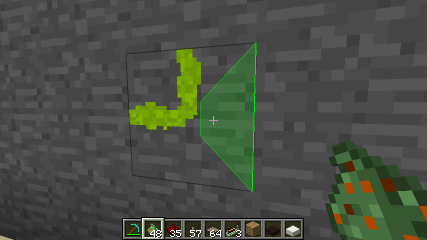 This feature works with slabs from any mod which derive from Minecraft's standard slab classes. Biomes O' Plenty is tested to be compatible. Since the stone slab has a unique texture compared to stone blocks, it will instead take the appearance of a stone block when applied to paste to blend in better. The crafting recipe is shapeless, consisting of simply a piece of redstone dust and a slimeball, yielding four pieces of paste. The config file allows you to specify how many pieces of paste the recipe gives, as well as providing an alternate recipe of a slimeball surrounded by redstone dust. You might wish to use these settings to better balance your game, depending on factors such as other mods you have installed, availability of slimeballs, or the intended focus of your game. The recipe for sticky repeaters is equally simple. Love the mod and would love to see it on 1.12. Thanks for all the hard work! Can You Make "Sticky Redstone Torches"? Just A Suggestion. 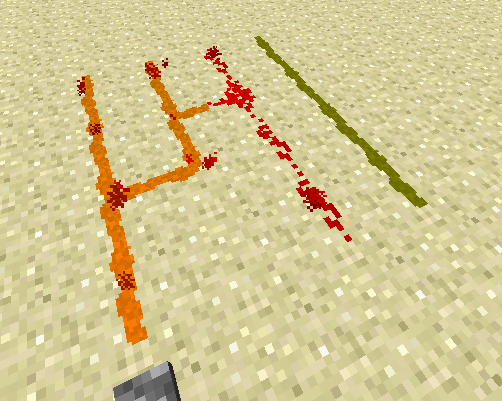 Will you be making a version of your red stone paste for Minecraft 1.12 ? Hi Guys, I need some help using Redstone Paste with Redstone Torch and doors. it seems the all items dont work together for me. if anyone can help out that would be great. Any chance of getting this ported to Spigot? Obviously Minecraft would have been far better if you had been a part of the dev team. Watched and used this for years, final comment on it, amazing. Keep up great work! This the Redstone should be! Hey FyberOptic, hows 1.11.2 coming along? I'm using default Minecraft texture pack and playing on version 1.10.2.